Welcome to the first Indeed Mashup. Before a show is active for download, we produce a Mashup of the more notable moments that we use on the following show. These are Mashups. This set are from the following shows. Stay tune for more mashup of mashups in the future. 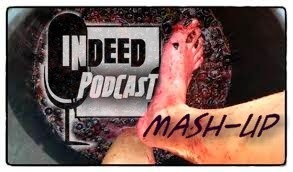 Thanks all who listen and keep us going, remember to email us with questions or comments at indeedpodcast@gmail.com or find us on Facebook, , itunes.